Notes: Free All Ages show – Bring an unwrapped toy, jacket, blanket. 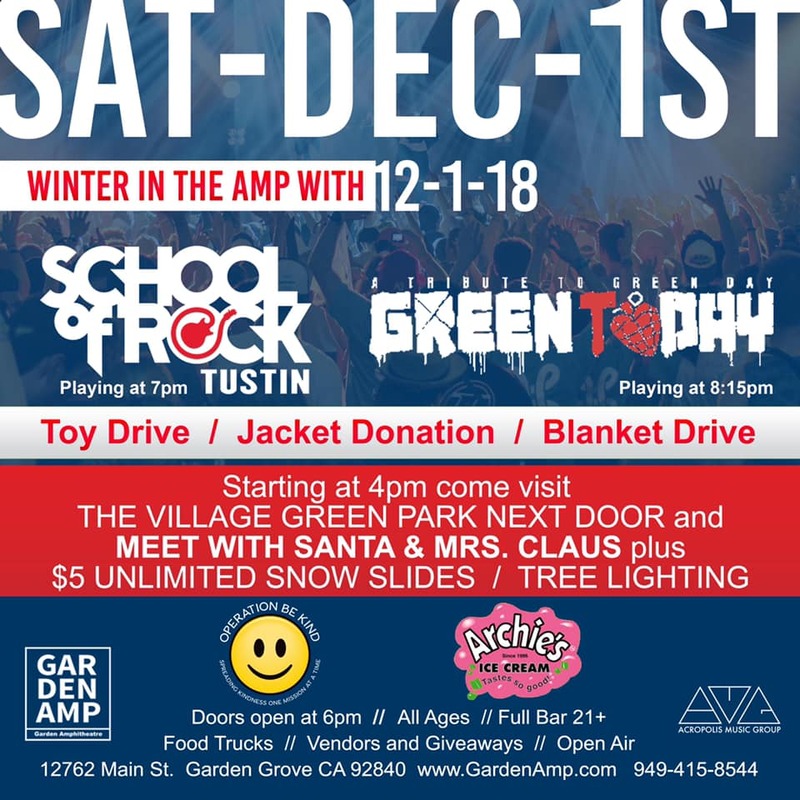 Doors at 6pm – Full Bar for 21+ School of Rock Tustin opens the show, GREEN TODAY plays at 9PM. Check out the city event next door at the park starting at 4pm. Snow Sledding, Tree Lighting, Mr & Mrs. Santa and much much more! Free All Ages show – Bring an unwrapped toy, jacket, blanket. School of Rock Tustin opens the show, GREEN TODAY plays at 9PM. Check out the city event next door at the park starting at 4pm. Snow Sledding, Tree Lighting, Mr & Mrs. Santa and much much more!